You are currently browsing the category archive for the ‘zucchini’ category. I forgot to check on the garden yesterday, and now look what I have on my hands. And there are four more that will be ready to pick tomorrow. 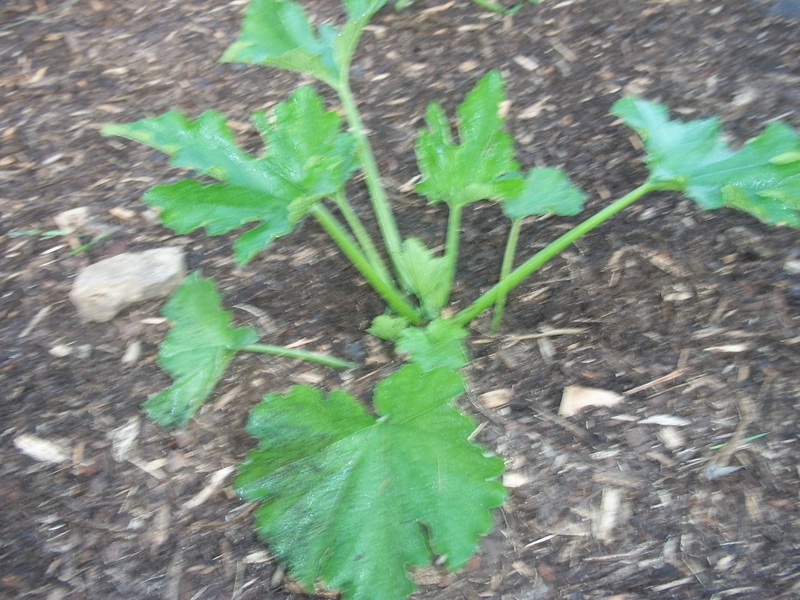 First zucchini of the 2014 season, six weeks after planting. And more zucchini are on their way. At present, with a staggered planting of ten zucchini seeds in June (eight grew), I have at least a dozen smaller zucchinis on the vine, two which I will pick by day’s end. I’ve resigned myself to the fact that whatever I do in my garden this year is primarily in preparation for next year. In my post earlier this month, I discussed the thick tangle of weeds that I attempted to till through this spring when I started my new garden. A couple of my Facebook friends recommended white vinegar as an organic weed-killer, but I ultimately rejected that idea because I didn’t want to harm the earthworms and the various insects and micro-organisms that build up the soil. Just because something is organic or natural does not mean that it will be gentle with the earth underneath the weeds. For me, that is the most important goal here – to create a thriving garden that works with, not against, nature. Instead, I decided to go with my original plan and smother the weeds, primarily using material right here in front of me: roofing paper left outside years ago behind the house. The rolls have been standing on one end next to the back door so that they are crimped by their own weight on the end that rested on concrete. They no longer unroll evenly, and undoubtedly are worthless as roofing paper. So I unrolled the paper over the area I intend to garden next year. Then I anchored it all in place with large rocks and bricks and broken pieces of concrete, because out here on the Illinois prairie the wind can be intense on occasion, to put it mildly. Yes, I was somewhat concern about what chemicals might leach from the paper into the soil, but then I realized that this very same product covers the entire roof of the house anyway. I figured a couple of weeks directly on the land would not likely be much worse than decades of the equally polluted rain water that falls about fifteen feet away my garden plot. So I’m reporting now that I’m quite please with the results. 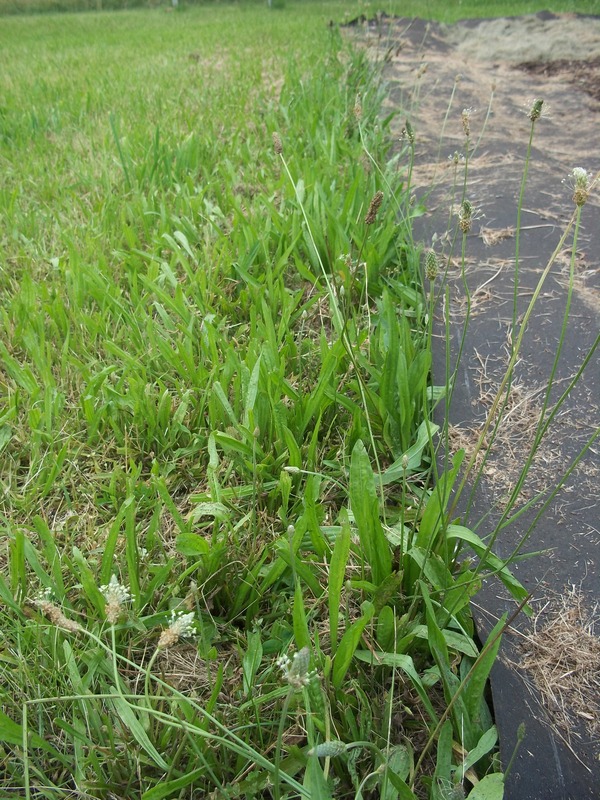 Here’s a good look at the weeds I am trying to kill along the edge of the roofing paper that I am using to smother them out. As it turns out, roofing paper repels water and does not absorb it. It would not be a good choice in a garden for any length of time. But because it is black, it quickly bakes any vegetation underneath it. Within just two weeks of summer sunshine, all vegetation beneath the roofing paper is dead. Now, I’ve moved over the paper to expand my garden further, and I’ve heavily mulched the vegetation-free ground with layers of newspaper, brown paper bags or grass clippings covered by pine bark mulch, conveniently on steep clearance at the Walmart nearest us. Over the fall, winter and early spring, earthworms will feed on the mulch and soften the earth for planting next year. 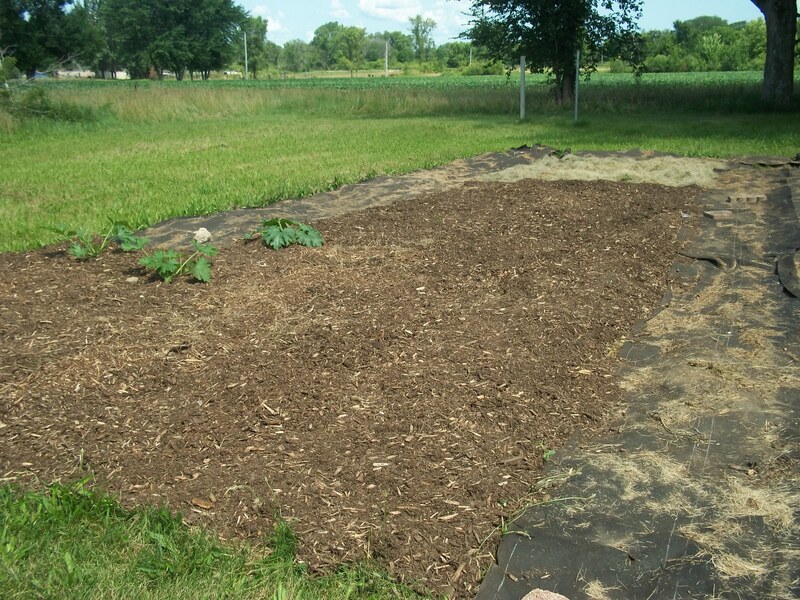 Here’s my garden now, partly mulched in preparation for next year, with another strip covered in roofing paper. I’m happy to report that I have some zucchini growing in the one corner, seven plants in total. That should be adequate for eating now and freezing for later. It’s nothing close to what I had planned for my garden this year, but sometimes you simply need to be patient. I’m not entirely talented at that, I’m afraid. My zucchini is off to a good start. 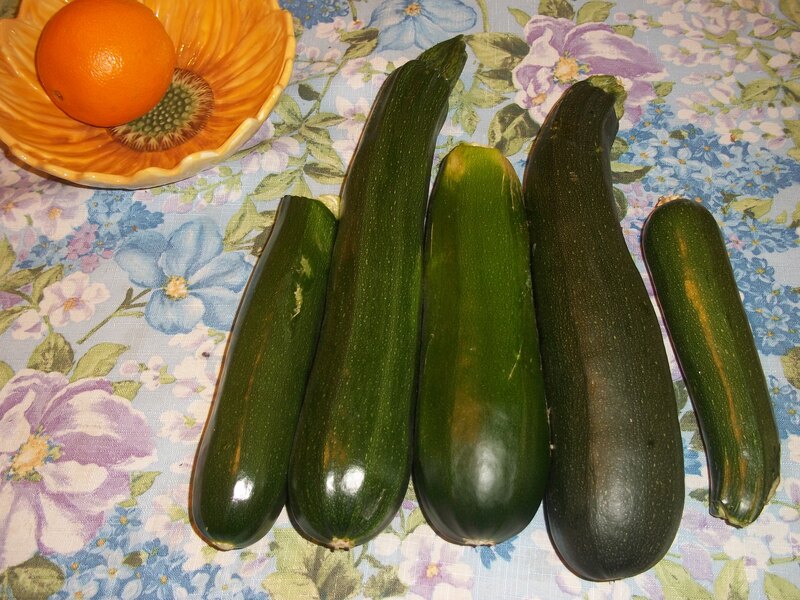 My grandchildren gave me the seeds for Mother’s Day this year, a gentle hint that they are expecting zucchini cookies before too long. My grandsons, age 2 and 5, are big fans of these tasty not-so-sweet cookies, made with zucchini from my garden. Last summer, I froze grated zucchini in dozens of 2-cup batches so that we could enjoy these through the winter. Gradually add the dry ingredient mixture to the creamed mixture and mix thoroughly. Drop by even tablespoonfuls onto baking sheet covered with parchment paper. Bake at 350° for 10 to twelve minutes, until lightly browned. Cool on wire racks. 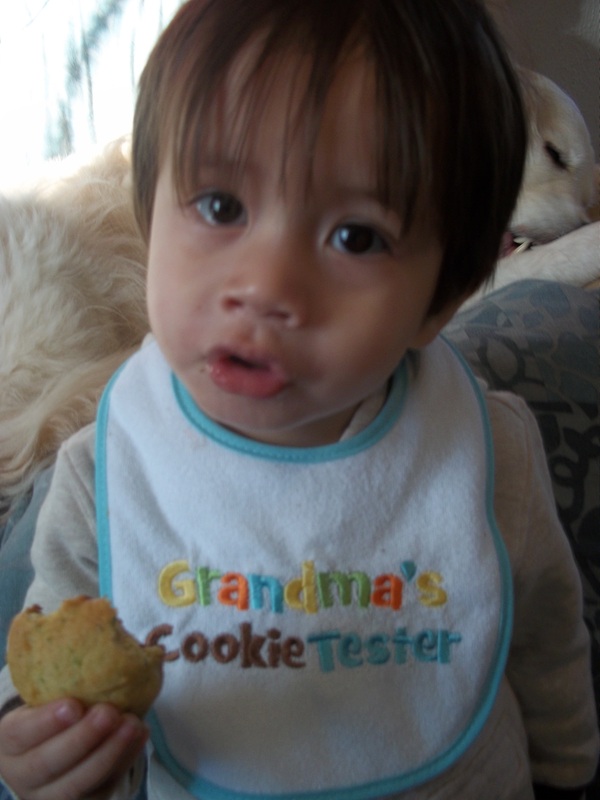 Two-year-old Zaven loves Ema’s zucchini drop cookies. Twice last week I went out to my garden in the morning to find that huge and healthy zucchini plants had toppled over during the night. There were no signs of forced entry through my garden fence anywhere at all. Thorough autopsies revealed no insect infestations and no sudden fungal attacks. What happened? The first time this happened, I thought I might have unwittingly knocked it over myself the night before, because the toppled plant was on the outside end of its row, nearest the garden path. The second time this happened, two plants were down, one on each end of the row. 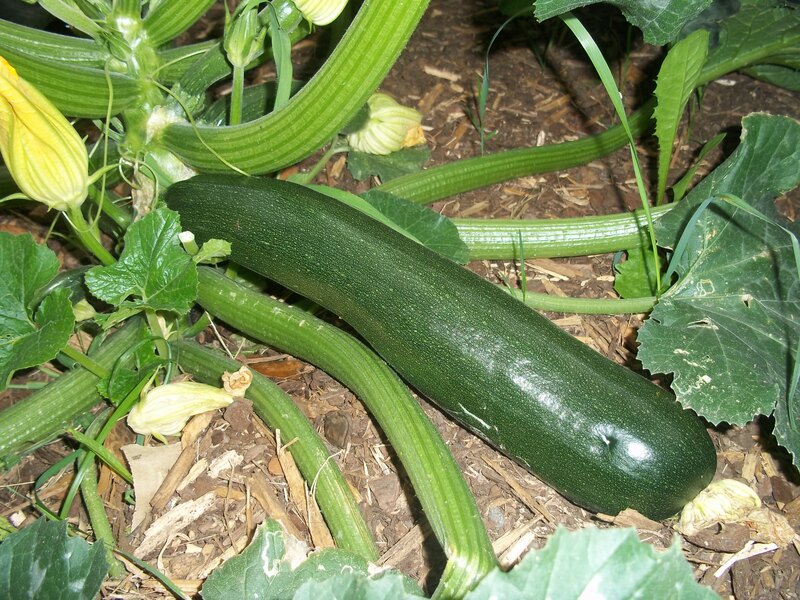 And I knew that I had been nowhere near the zucchini plant nearest the fence the night before. At this rate, I knew I had to take action if I wanted to have any zucchini to harvest before summer’s end. A search of the Internet revealed that I am hardly alone with this problem. And, after asking my more veteran gardener sister, it looks as if this runs in the family as well. Summer squash vines can get so heavy that they just snap from their own weight. So what do you do to prevent further damage? The consensus is to put additional dirt over the vulnerable place on the stem where the others have broken off. One gardener said that if the break is not clean, a plant may be salvaged if the plant puts new roots down around the stem. A couple of the leaves look as if they may die, but the rest of the plant appears to be thriving. A zucchini has formed and more blossoms have opened since taking this approach. This appears to be a problem only with summer squash and not winter squash. I spent the better part of an afternoon going from plant to plant, inspecting each stem for possible damage. I found initial cracks on two yellow squash. I covered these stems — well, all of the summer squash stems — with additional soil to encourage more root growth and to provide more support. Hopefully, this will prevent further losses in the future. And, in the place of the two that I lost, new seeds have been planted. No harm in staggering the harvest, I guess. Zucchini is supposed to be one of the simplest vegetables to grow, and as a newbie, this was one I thought I had a pretty good chance of seeing success. Wish me luck.